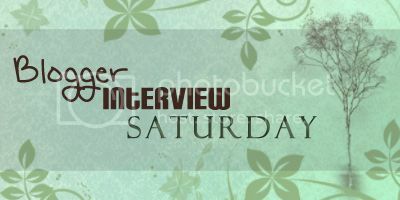 Every first saturday of the month I interview a blogger. This month I interview Daphne from Winged Reviews. Welcome to Lola’s Reviews! I am so excited to have you on my blog today. I love your wing themed blog. Thanks Lola! I’m excited to be here on your blog. Honestly, a mixture of The Hunger Games and Goodreads probably got me into it. When I read The Hunger Games, I loved it so much I ended up flooding my then Twitter account singing the first two books praises and getting quite a few of my friends to read it. I even made a website declaring my love for Peeta (http://peeta.urbangeisha.net/)! Then I discovered Goodreads and thought about how much I loved to read and write reviews, then I met Alison through the UK Swap Shop group and we decided to give blogging a go! How did you come up with the name for your blog, Winged Reviews? Alison and I threw a lot of names around before we decided. We wanted it to sound cute and catchy, but felt like a lot of the names that had the words ‘book’ or ‘read’ anything like that in it were already taken and we didn’t want to be too genre specific. ‘Winged’ is actually my LiveJournal username, so I suggested ‘Winged Reviews’ to Alison and we both really liked it! It will be almost a year and a half when this interview goes live. Gosh, I can’t believe it’s been that long! I do love most things about blogging, but I think the best thing is getting to know all the lovely people in the book industry. From authors, publishers, and fellow book bloggers, it’s wonderful to meet like-minded people that enjoy books! I’ve made some really fantastic friends out of blogging and I’ll always be grateful to it for that. Well given the name, I wanted something to feature wings! I thought I would just concentrate on making the name pretty and I asked a graphic designer friend of mine to come up with the wing design that I could use for the header and for the rating scale. Throw in some colour on the white/grey and the layout was born! In the About Me tab on your blog you mention that your favorite genres are fantasy and mythology, can you explain why? Ever since I loved to read, I’ve always read pretty much every genre, but something about fantasy and mythology appeal so much. With fantasy, I’m just so impressed by writers that not only write a fantastic story, but create this whole new world out of their imagination. It gives me a break from reality. With mythology, I devoured myths when I was a kid and I love the characters and crazy stories, so I’m always curious to read new exciting interpretations of them. You also mention in the About Me tab that your favorite things to discuss are the plot, the main characters and any relationships in the book. I mostly try to structure my reviews based on three things, although for me those three things are: story, characters and world building. So I am curious to know why did you choose those three things? I picked these things because these are what I enjoy the most in YA fiction (and most other fiction) really. Books for me have to have a good plot. I’m all for beautiful writing but if nothing is happening then it probably won’t do it for me. I need to be taken on an adventure, go through some struggles, travel the world! I am also a really character and relationship driven reader. I need to relate to the character in some way, either loving or hating them, or swooning over a great first love or messy break-up. So these are the things I discuss most in my reviews. Thanks Daphne for the interview! Thank you Lola again for having me! I’ve really enjoyed the interview! Thanks Siiri :). I think it’s really interesting to hear about other bloggers so that’s why I started this feature. Characters are also really important in a book for me, although it is possible to have a great book and not like the characters I prefer if I really get to know the characters and like them.